(headaches and tired eyes) would decrease. Further, 35 per cent of respondents believe improved morale would occur as a result of prioritising employee eye health. Apart from these various benefits, many employers may be required to provide eye care due to the nature of their working environment. Laws such as the Display Screen Equipment and Personal Protective Equipment (PPE) at Work regulations state that employees must receive necessary eye care at work to prevent safety hazards. 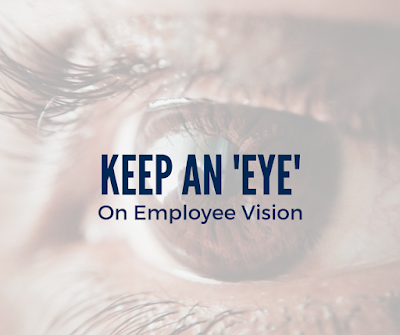 Regularly assess your employees’ workstations for potential eye-related risks. Remove as many hazards as possible and reduce additional risks by providing staff training and implementing proper controls, such as PPE or necessary spectacles. 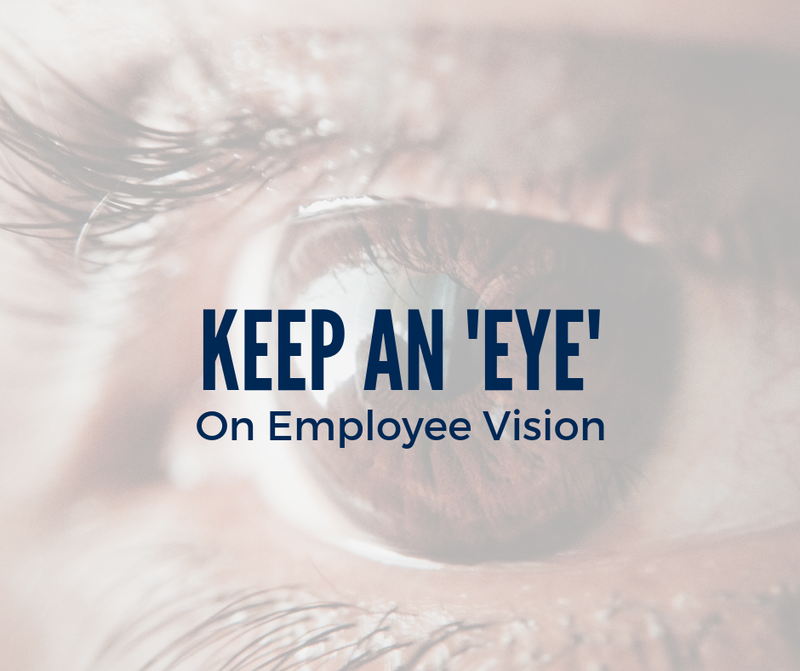 Conduct routine eye exams to ensure your employees meet the vision standards required for completing their job effectively and are aware of any eye ailments that require treatment. © 2019 Zywave, Inc. All rights reserved. This publication is for informational purposes only. It is not intended to be exhaustive nor should any discussion or opinions be construed as compliance or legal advice. In relation to any particular problem which they may have, readers are advised to seek specific advice. Further, the law may have changed since first publication and the reader is cautioned accordingly.